As if Microsoft and Internet Explorer didn’t already have anough catching up to do in the browser wars. 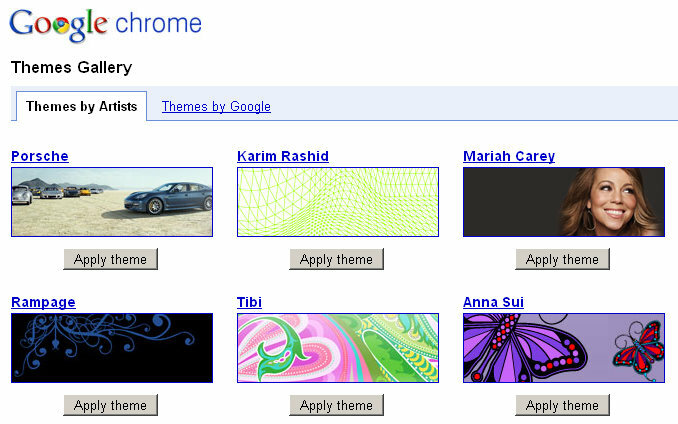 Now Google has just released famous artist and designer themes that can spruce up your Google Chrome browser. There are lot’s of designs to chose from here, and I can tell you, after trying out a few of these designs, it actually looks pretty cool. If you don’t have Google Chrome yet, you can download the latest version here. If you’re interested in the creative process that goes behind creating these themes, you can read more at the Google Chrome Blog. Here’ s a promotional video from Google Chrome (no sound though) that highlights some of the themes to chose from.